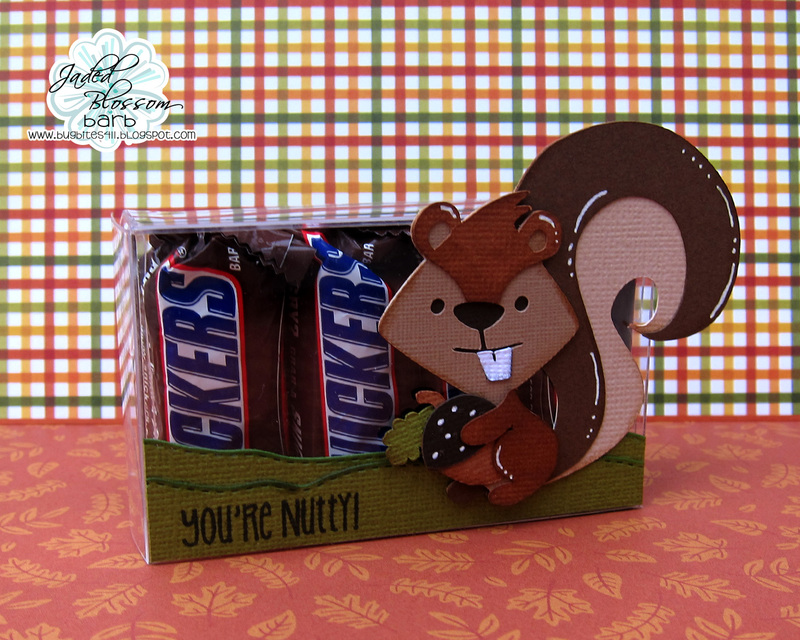 Hello there....It's Barb with BugBites here with a "nutty" treat project. 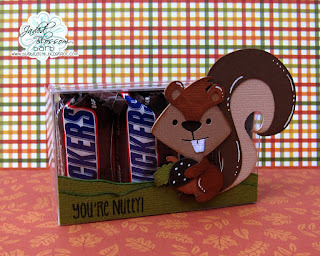 I put together a little treat box using my favorite candies..snack size snicker bars. Three of them fit perfectly in this clear treat box. I used a border die from the Tropical Dies to make a few layers of grass for my forest friend to stand on which also gave me a place to stamp my sentiment. I just love this!! Totally cute! This is just the cutest squirrel!